ONE OWNER! ONE OWNER ! ONE OWNER ! Recent Arrival! 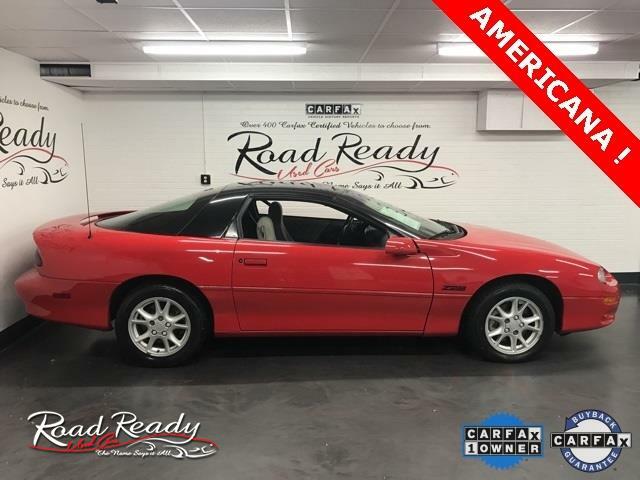 *** LOOK AT THIS SPARKLING LOW MILEAGE Z28 *** ONE OWNER CREAMPUFF THAT'S ALL READY FOR THE WARM WEATHER!!! A SMALL PRICE TO PAY FOR A PIECE OF AMERICANA!! ALL SERVICED, CARFAXED AND CERTIFIED! ! ! We would like to thank you for considering Road Ready Used Cars for the purchase of your pre-owned vehicle. Come visit us at our all new state of the art facility situated on over four acres. Our service facility and reconditioning center is amongst the best in the state (Check out pictures under the "Dealer Services" section.) We have over 500 Carfax certified hand picked vehicles to choose from! Call one of our product specialists at (203) 826-2089 with any questions, or to schedule a test drive today! Message: Thought you might be interested in this 2000 Chevrolet Camaro.